Brainbase, a California tech startup with a team in Estonia, has received US$1M in seed funding to build an “end-to-end product ecosystem for intellectual property licensing” that could change the way businesses manage and licence their brands worldwide. The investment is an indication of dynamic evolution in the IP sector as it takes advantage of latest technologies and the talents of innovators. The Los Angeles-based company’s debut product is Brainbase Assist, a tool that allows companies to manage collaboration, sales and royalty reporting, smart contracts, secure digital assets, and a range of advanced analytics on metrics such as sales performance and rights availability. The company has already signed up some major corporate and university names for the new service. They are working with major venture capitalists, and have consulted closely with top industry lawyers on development of model contracts and other issues. In a demonstration seen by Intellectual Property Watch, the high-tech platform offered bright product displays tailored to vetted clients in a legally sound environment, making it easy to shop for and market appropriate brand opportunities and close deals easily. Within a secure process protecting their brands and data, companies can manage inquiries from known prospects and take them forward to IP and licensing agreements. And advanced metrics give companies elaborate information about performance in real time. “We are building an end-to-end product ecosystem that gives companies new ways to manage and monetize their intellectual property through licensing,” Nate Cavanaugh, co-founder and CEO of Brainbase, said in a statement. Brainbase, a Los Angeles-based technology startup that is building an end-to-end product ecosystem for intellectual property licensing, announced a $1M seed round on Monday. The round was led by Tera Ventures, with participation from Sterling Road and several angel investors including Severin Hacker, Andrew Rabin and Hamid Barkhordar. Funds will be used to continue developing the company’s debut product, Brainbase Assist, a tool for brands and licensees to manage and automate the licensing process. Brainbase Assist is the first out-of-the-box licensing management tool that enables companies to bring licensed products to market faster with powerful collaboration tools, sales and royalty reporting, smart contract management, secure digital asset management and analytics on important metrics like sales performance and rights availability. The company also announced Marketplace on Tuesday, a revolutionary new flagship platform that enables licensors and licensees to showcase their brands and products and close new licensing deals entirely online – from search and discovery, initial inquiry, standardized licensing agreements, deal signing, royalty payments and license management. The company has already signed up a number of globally recognized brands including Shell, Kelloggs, Technicolor, J.D. Power, Billboard, Electrolux, Entrepreneur Magazine, Ohio State University, University of Utah and over a dozen leading agencies and licensees. 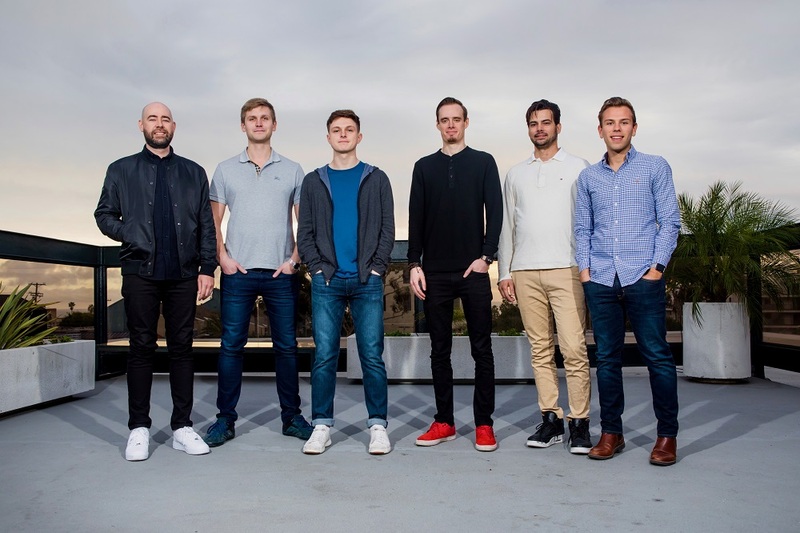 Founded in 2016 by Nate Cavanaugh, Karl Johan Vallner and Nikolai Tolkatshjov, Brainbase is a Los Angeles and Tallinn-based technology startup building an IP licensing ecosystem that helps companies discover, connect, grow, transact and manage. "California Startup Brainbase Building Breakthrough Online IP Licensing Platform" by Intellectual Property Watch is licensed under a Creative Commons Attribution-NonCommercial-ShareAlike 4.0 International License. Interesting story… thanks for sharing!